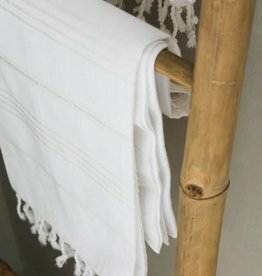 Original hammam towels | Simply Pure - simply pure. You like to go to the beach? Or do you visit a sauna or hammam every now and then? Then you really need a hammam towel! These trendy towels are bigger than the regular ones and therefore ideal to lay on, wrap around you or dry yourself with. Their diversity makes them immensely popular! Our 100% cotton hammam towels are 180x100cm in size and available in three colours.